This month’s Me & Mine photographs were taken in our back garden which is kind of perfect for this month as we have spent most of our time in there. They are last minute…as usual and we managed to get Lucas to sit still by giving him an ice lolly that the twins were eager to share. After teatime our garden is in full sunlight so I let the children out while we wait for Daddy to come home. Spending the hour before bedtime in the garden is so nice, me and my husband sit outside and chat while the children potter around. Yesterday evening my Mum and brother had popped round after work so we all sat outside and my mum very kindly took our pictures. 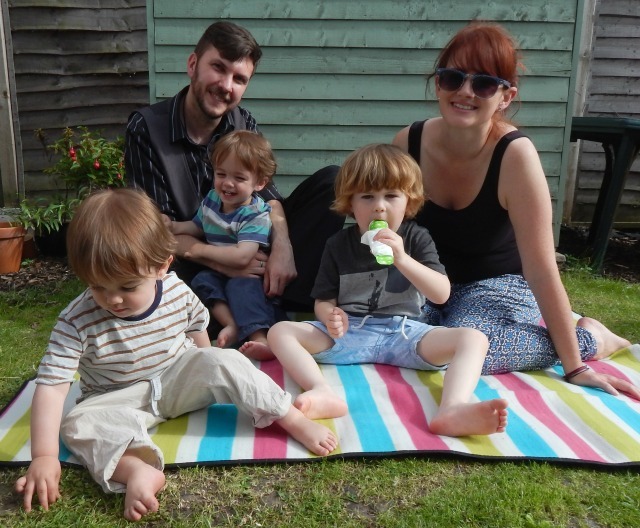 I have discovered that if you put a picnic rug on the floor children will naturally gravitate towards it so it was fairly easy to keep them in one place, not so much to have them all looking at the camera! This month has been a bit crazy, we seem to have been busy catching up with little things. We’ve been working on the garden to make it somewhere the boys can play out safely and it lovely to watch them together outside. Me and my husband went to a meeting at Lucas’ school for him starting in September which has just made me emotional all month. I’ve started going to Yoga which is fantastic and I really do love the time to myself but it is another evening I’m out the house. I feel like me and my husband are both so busy at the moment we aren’t really having chance to catch up so we are officially on the countdown to the summer holidays when we can all relax. I’m so happy that we have managed to keep up our Me & Mine photos, it is getting a little easier but I would love to be more organised and plan our photos more. 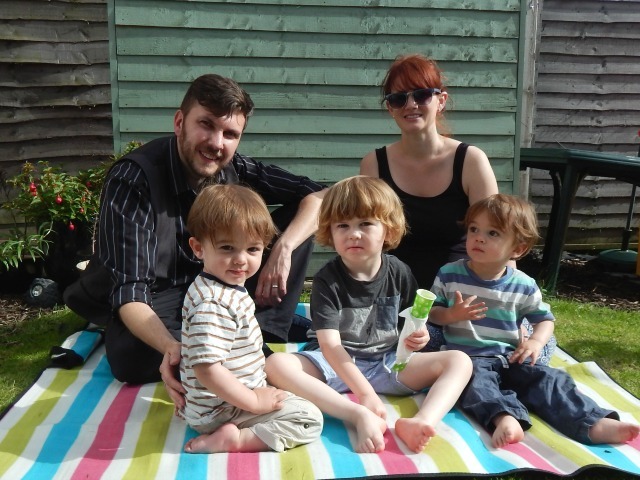 Still, I love these photographs as it is just us, just how we all look at the end of the day – the husband in his work clothes, kids with dinner stains on their t shirts and all looking slightly frazzled but happy. Oh these photos are gorgeous. We have been enjoying the sunshine this month also. Love the blanket, so bright and colourful! Yay for these beautiful photos and yay for yoga!!!!! 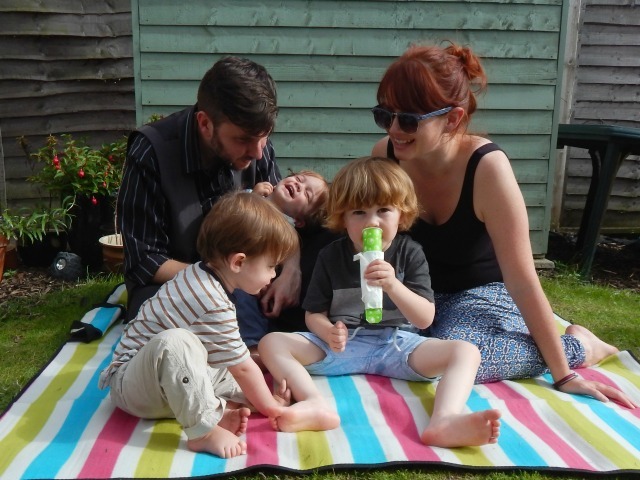 Aww they’re lovely photos, you all look so happy and yay for bribery with ice lollies! They’re lovely photos, Hayley. Nice and relaxed, but a brilliant record of memories and family life. A lovely set of family photos Hayley. Everyone looks really happy.